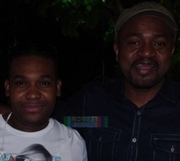 LATEST HMI SCOOPS/NEWS ON ARLY LARIVIERE. TI LUNET. HARMONIK. CARIMI + MORE! *TI LUNET ON WHY HE'S FOREVER GRATEFUL TO ARLY LARIVIERE! *ARLY LARIVIERE: WILL THE "REAL" ONE PLEASE STAND UP? *WHICH HMI BAND HAS THE WORST RECORD FOR PAYING THEIR MUSICIANS LATE? *CARIMI NYC BIRTHDAY BASH FOR TMRW...HERE'S THE STATUS! *HARMONIK PUSHING IT TO MAKE IT HARMONIK TIME ONCE AGAIN....GET DETAILS! *TI LUNET'S NEW MUSICAL ATTITUDE!